When you ride a scooter, you're not just going from point A to B, you are having an experience. Buggy World is about the experience, and we think buying your scooter should be as much fun as taking it to the streets. We treat each customer as if they are our only customer. At Buggy World INC, we are about the scooter lifestyle. When you buy a scooter we don't forget you when you drive off. We'll be here when you need service. We'll be here when you need accessories. We'll be here when you are ready to get your next scooter. The scooter is becoming a symbol of a movement. In this environment, in this economy, responsible people are changing their habits, changing their lifestyle, and scooter riding embodies many of these changes. 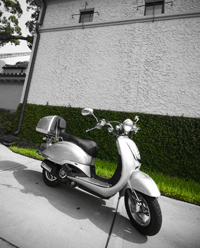 We've cultivated an atmosphere where scooter riders can feel at home. It is about freedom, it is about being environmentally aware, it is about convenience, it is about being a part of a alternative community. Most of all, it is about fun. Laugh when you buy gas! Our scooters consistently get better than 70 miles to the gallon. And with a price tag of less then $2000, it is way cheaper than buying a hybrid car. So whether you're worried about the environment or the cost of gas, the extraordinary fuel economy of a scooter is unsurpassed. Change your perspective. Driving in a car, you're separated from your environment by a glass and metal box. When you ride a scooter you are there, in the middle of it all. The sun shines on you; the wind blows across your face. It makes you feel alive, rejuvenated. If you need an inexpensive, reliable way to get around - you can't beat a scooter. The pricing for our scooters start at less than $2000. Scooters don't use much gas and they're easy to maintain. For short trips and quick errands, a scooter is a fun and easy way to get around town. Just climb on and zip away. And when it is time to find a spot in a busy parking lot, a scooter has several advantages. Did you ever notice that scooter riders wave to each other when they pass on the street? You will when you own one. Riding a scooter means that you are part of an alternative community. You'll find yourself in conversations about what kind of mileage you get, what kind you drive, what accessories you have to customize your ride. Each scooter is as unique as its owner, and scooter owners love to compare rides. With no gears to shift scooters are much easier to ride than motorcycles. It doesn't take much getting used to, to hop on and get started and enjoy the ride! Having a scooter shows everyone else you are on top of life and what a statement to make! Scooters draw people from all walks of life. There are so many reasons to ride a scooter that it attracts all sorts of interesting people. Conscious of their carbon foot-print, the eco driver rides a scooter because of its high great gas mileage and low emissions. It makes a statement that "I care about the environment, and I'm willing to adjust my lifestyle for it." A student often spends most of his or her time on campus, but when it's time to head out on the town, a scooter is an affordable, convenient way to get around - and it makes parking on campus so much easier. So maybe we're not all motorcycle people. 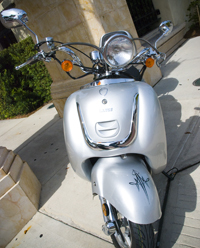 A scooter offers the thrill of a motorcycle, but it is more appropriate for the metro lifestyle. Take your scooter to brunch, to the coffee shop, or to the art festival. It turns any activity into an excursion. If you live in a community with amenities like a golf course, boat ramp, college area, tennis courts or swimming pool, a scooter makes it easier to take advantage of all your community has to offer. Plus, it's cheaper and way cooler than a golf cart. Buying a scooter is not like buying a car - there's no 'high pressure sales' here. 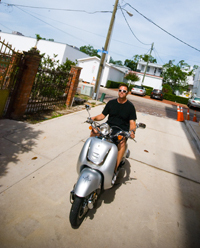 We love scooters, we love the lifestyle, and we want to share that enthusiasm with you. Whether you come here to buy or you're just looking for information, we'd love to see you. The prices of all our scooters are clearly marked, and you already have our best price, so there is no need to haggle. Choose a scooter from our gorgeous inventory and you can drive away today. Or take the time to customize your ride, and we'll have your scooter ready for you in less than two weeks. We take the term "service" to heart. When you bring your scooter to us for repair, we will listen to your concerns, explain our solutions and get you back on your favorite mode of transportation as soon as possible. Whether you bought your scooter from us, ordered it online, or bought it from down the street, we will be happy to provide repair service or routine maintenance on your scoot. Our on staff mechanic will answer your questions and address your concerns. Plus, the friendly shop-talk is free of charge. If your not the type to need assistance but know what you need. We have built and filled a members parts department dedicated for the owner on the go. 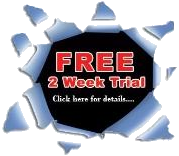 We have been asked many times for this option and have spent quite a bit of time, money and effort to bring you a fully automated service department. So, even if your not in our immediate area for general service, you too can still get the help you need. Be sure to check us out and put this site in your book mark for sure. CMS Family Customers Welcome! NEW! - After many requests, CMS and it's staff have new events and updates that we would like our CMS Family customers to have access to. Please check back on this page from time to time and see whats new. We will also be putting the list of other business we work with to better your online experience. Please note CMS does not promote or necessarily back any of the mentioned business nor thier practice. This collection is for entertainment purspose. Enjoy! 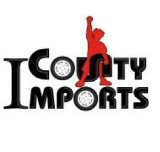 If you would like your banner posted here please send your request to sales@countyimports.com with your request and your banner attached in the same email. Please be prepared to post our CMS Banner on your site to verify. Please note this website boasts over 350,000 unique hits per month. 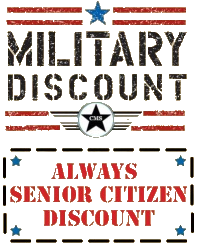 CMS will only consider posting your banner IF and only IF it direcly pertains to our customer base and thier needs. We will not post off branding ads. Please call (619) 573-4757 for more information.